Aric Almirola drives his No. 43 Richard Petty Motorsports Ford Fusion during practice for the Daytona 500. This year, NASCAR has mandated the use of a digital dashboard in all NASCAR Sprint Cup Series cars, which is a big step forward. In this video from Ford Performance, Richard Petty Motorsports driver Aric Almirola shows off his new digital dash on the No. 43 RPM Ford Fusion with additional detail from crew chief Trent Owens, and the team’s director of engineering Scott McDougall. 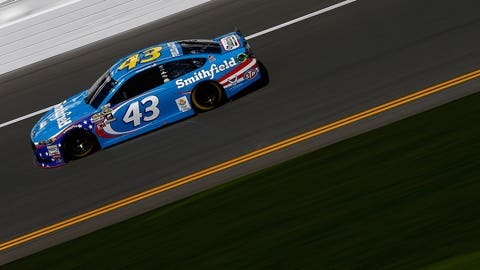 Almirola won the July 2014 race at Daytona International Speedway and is looking forward to a competitive Speedweeks this time around.